There have been a wealth of books written about astronauts’ experiences in space. A good many of these are accounts detailing what transpired behind the scenes. Few, however have contained actual questions asked by the average citizen as well as the response. 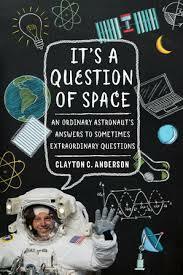 Former NASA astronaut Clayton Anderson works to address this in his latest offering – It’s a Question of Space. 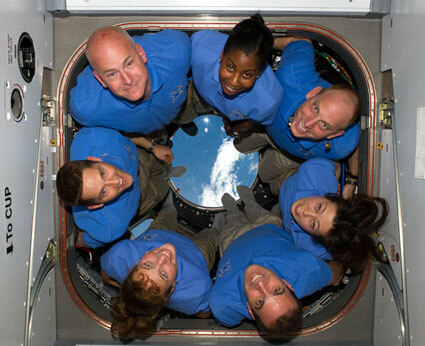 SpaceFlight Insider: What was the impetus behind writing It’s a Question of Space? Did you feel the questions asked would be of interest to the general public and then decided to share the answers to a broader audience? Anderson: “I knew that former astronaut Mike Mullane had written and published “Do Your Ears Pop in Space?” in 1997. Knowing that –coupled with the fact that the internet and social media had grown by leaps and bounds– I thought it was time for an update that would definitely interest the general public and a broad audience. Since he was a “shuttle guy,” there was a tremendous interest in all aspects associated with living and working in outer space on the International Space Station platform. I have been answering questions on Quora.com since early in 2014 (shortly after retiring from NASA) and I really enjoy it. And I don’t answer just “any” question. I look for those where I have an actual “dog in the hunt,” i.e., those questions where I can offer my personal perspective and experiences versus simply regurgitating technical information discovered through research. In addition, the feedback I was receiving told me that folks around the world were really enjoying my answers as well, and that my efforts were generating a ton more questions! SpaceFlight Insider: (Sarcastically) – Is the Earth flat and does NASA pay actors to pretend that Australia is real? SpaceFlight Insider: What demographic did you aim this book toward? SpaceFlight Insider: After 30 years at NASA, what would you tell those looking skyward and dreaming of becoming space-flyers themselves? SpaceFlight Insider: Thanks so much for providing our readers with a ‘sneak peek’ into your latest literary work! Known as “Astro Clay” on his various social media accounts, It’s a Question of Space is the latest book Anderson has produced. His previous works include: The Ordinary Spaceman: From Boyhood Dreams to Astronaut and A is for Astronaut: Blasting through the Alphabet. His 150-day tour of duty on the International Space Station more than provided Anderson with the experience necessary to open the door about this subject to the general public. In so doing theses readers are allowed to vicariously share in his adventures. For this reason alone, the book is a spectacular read. With numerous photos and illustrations, It’s a Question of Space is perfectly suited for those taking their first steps into studying the art of space flight and is a great addition to any aerospace enthusiast’s private library. It’s a Question of Space is 224 pages in length and is published by the University of Nebraska Press. The book retails for $16.95 in the U.S. and $25.50 in Canada. As usual with SFI, you have again labelled an interview with the author as a review.